PowerWrap was conceived in 2002 through the efforts of individuals with pipeline and energy industry backgrounds that recognized the need for a composite repair product that was both innovative and simple yet provided the pipeline and infrastructure industry with state of the art technology. PowerWrap provides decades of experience in advanced composite engineering with the latest technology and current composite systems approach to pipeline and infrastructure corrosion remediation. The strength of the PowerWrap management team stems from its combined expertise in the pipeline industry and it principals have a combined industry background exceeding 85 years. Their experience includes many years of engineering, marketing and management including positions with oil and gas companies, gas processing facilities, and pipeline construction companies. PowerWrap also use the expertise of team members who participated in the twelve man team that authored the newly recognized ASME PCC-2 Code, members who hold NACE LEVEL II accreditation, and chemical engineering backgrounds who developed our widely used underwater epoxies. Pipeline safety is important to everyone so PowerWrap offers solutions that maximize worker and public safety. As various agencies are becoming increasingly aware of the crumbling infrastructure in the world, PowerWrap are there to provide a modern repair solution. Using this knowledge of advanced composite systems, PowerWrap have developed and perfected the use of composites for the repair and rehabilitation of infrastructure components. PowerWrap Products have proven to be a dependable method of repairing piping and structures and PowerWrap makes every effort to ensure their products meet their specifications on every production run. A reliable product leads to a safe repair, which can make a difference to all who come in contact with the system. PowerWrap goal is to provide the most advanced composite repair systems in the industry, while continuing their research and development for new products, and new solutions. 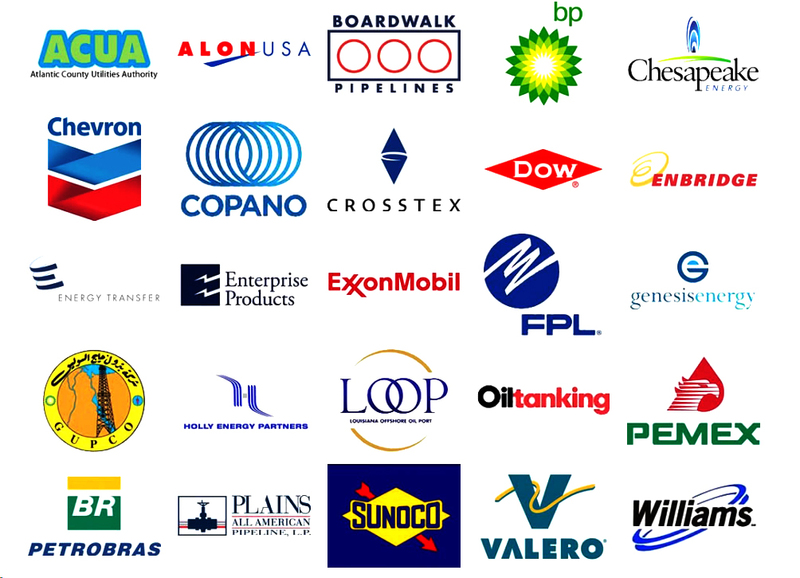 PowerWrap have worked with many companies around the world in remediating their structures and pipelines. Below are just a few of their Great customers that have utilized their products for their needs. Kanoo Blue are exclusive agents for PowerWrap range of products in the Middle East.